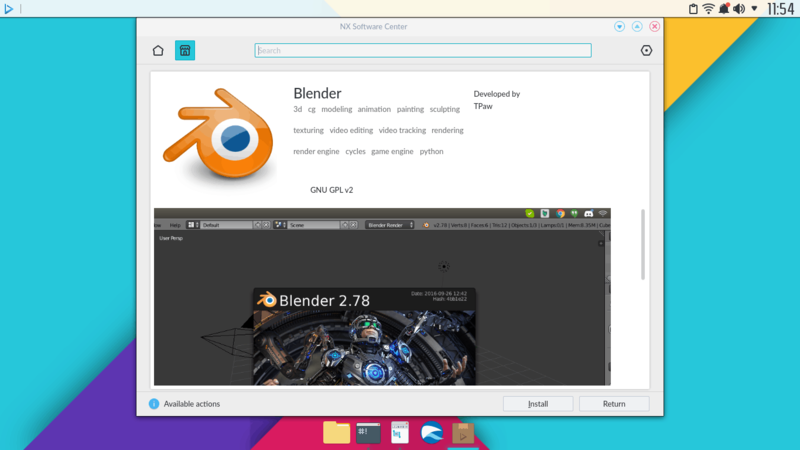 If you’ve been using Linux for a while, you have probably heard or even played with various desktop environments; Unity, Gnome, Plasma, Xfce, Cinnamon, and others. A personal quest of finding the most suitable interface between YOU and the system. But I bet you half a shilling you have not yet had a chance to experiment with Nomad. 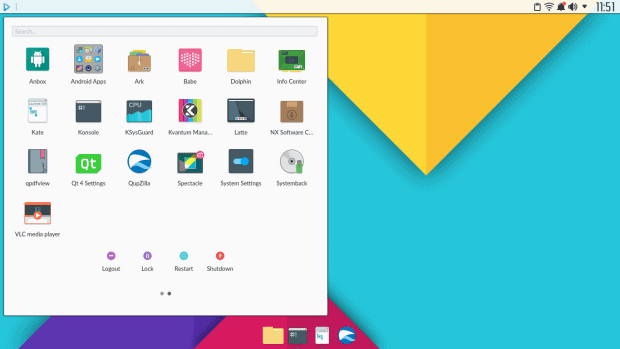 Nomad Desktop is the face of a new Linux distribution named Nitrux. The naming choice is a little tricky, because Nomad is already heavily used to brand a range of software products, and the domain name for Nitrux has the magical NX combo in there. But it does look very interesting. 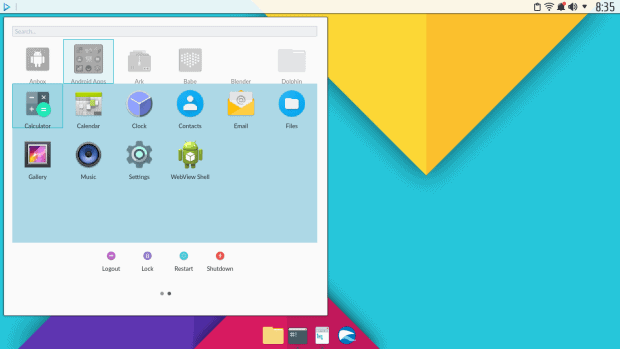 The JS-heavy homepage offers a lot of visual candy, the screenshots are shiny, and Nitrux aims to carve its own niche in a small world saturated with desktop environments. 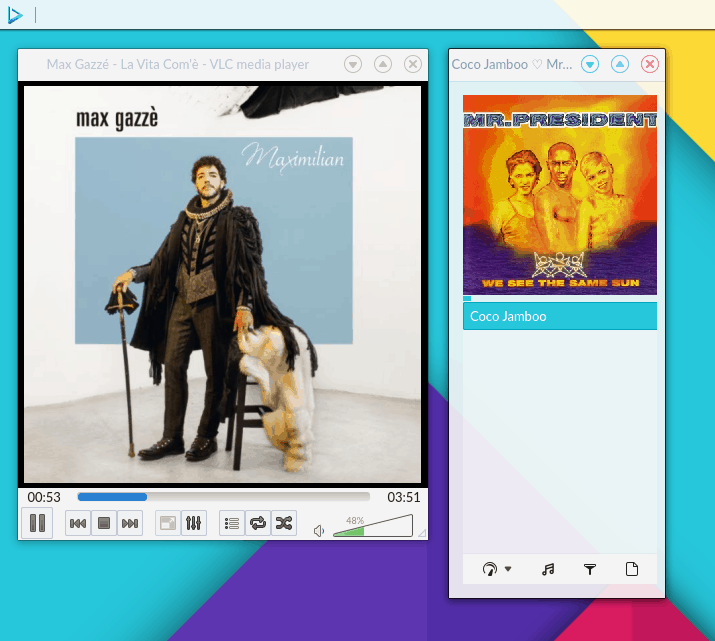 The backbone behind this effort relies on Ubuntu and Plasma and cutting-edge Qt5 solutions, similar to KDE neon. Let’s see what it does. Before we can enjoy Nomad – and enjoy it we will – I must tell you a convoluted story of how it heavily resisted my efforts to get underway. Similar to my endeavor with Liri a few days back, expect we did make progress. I was able to successfully download Nitrux only on a third attempt. The first two ISO files were corrupt, including one direct download and one from SourceForge. Once I had the image, the next step was to write it to a USB drive and boot. With Ubuntu as the baseline, I expected no issues, but then, I was proved wrong. On my Lenovo G50 machine, the system did not even recognize the USB stick as bootable. Then I had the same problem on my older non-UEFI HP Pavilion laptop. To make sure I wasn’t being a complete tool, I tried booting the ISO as a virtual machine, and indeed, it booted fine. Slow but sane. I was using both Etcher and Fedora Media Writer, but it seemed they weren’t able to write the image correctly, so I decided to try Unetbootin, as per the official recommendation. This in itself introduced more problems, with several distinct bugs preventing me from using Unetbootin outright. However, I did solve these issues, wrote a couple of tutorial along the way, and finally had Nitrux booting properly. I resumed my testing on the Lenovo G50 machine, which is a modern system with UEFI, GPT, 16 partitions hosting half a dozen operating systems of all sorts and flavors, plus Intel HD graphics. Nitrux, and consequently, Nomad, booted fine. I did have to manually log into the live session, using the distro name as the password for the live user. And now, let the fun commence. Nomad isn’t a fully standalone, independent product. 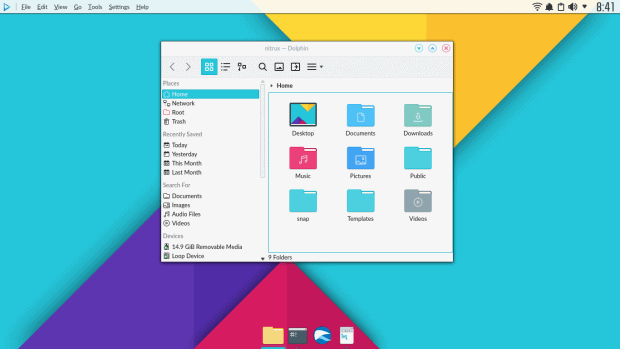 The desktop is built from Plasma, much like we’ve seen other DE’s built on Gnome in the past. 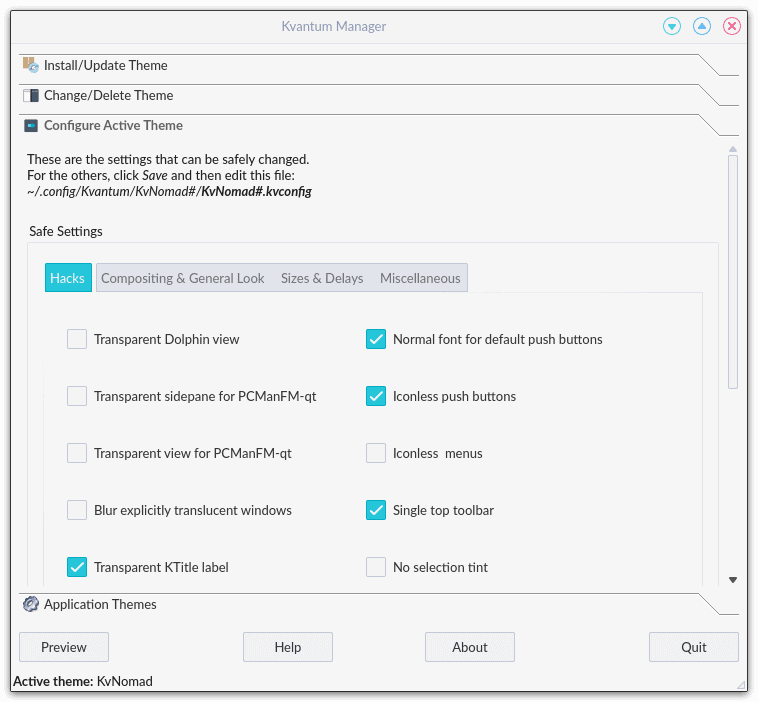 With Nomad, there are several notable and distinct features that separate it from the rest of the base KDE experience. 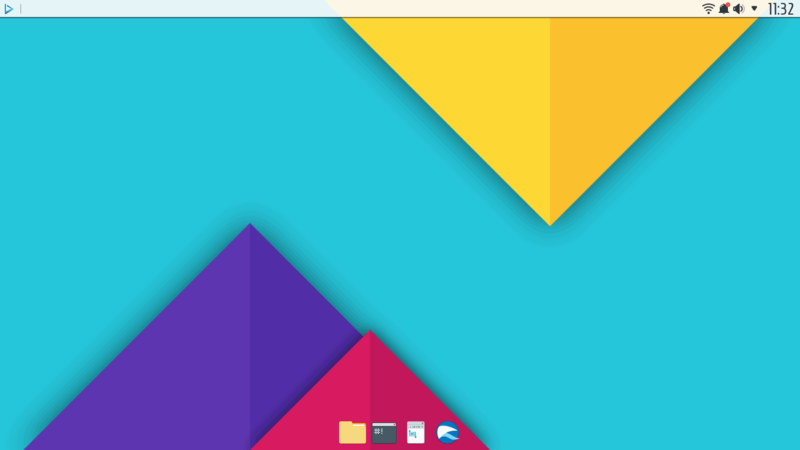 Nomad uses the Latte dock at the bottom of the screen. The panel is positioned on the top, more like you’d expect from a Gnome or Unity (read Mac) setup, with a very unique use of the global menu. Read Unity or Mac again. Golly. This is a first. I’ve never seen a KDE system use this feature, and it is a bit awkward and unexpected, because it’s not something you ever thinking of finding in Plasma. 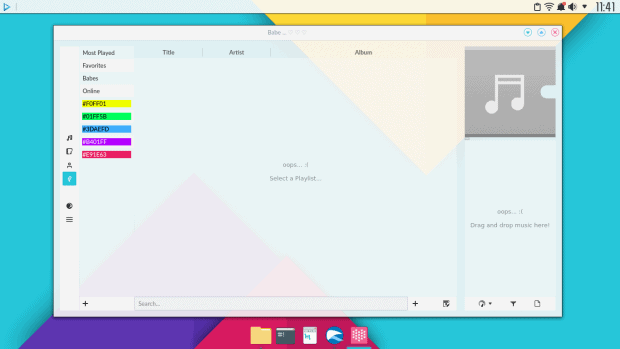 The styling is unique – flat and pale, perhaps too much, with visual clues that remind of elementary OS and its namesake desktop. This also extends to the menu, icons as well as decorations. The look is plasticky (or should I say plastiky), somewhat abstract, there’s a liberal use of pastel colors AKA Miami Vice style and transparency all over the place, which does not help on the ergonomic side of things. But we will discuss the problems and pitfalls a bit later. Very pretty overall. 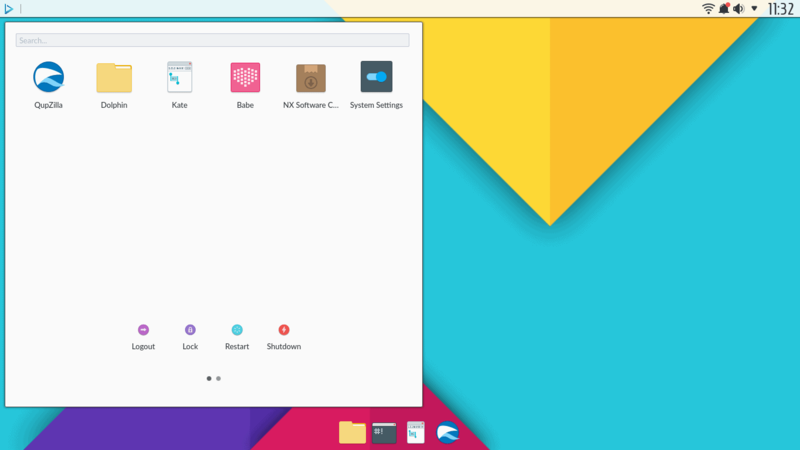 The desktop comes with its own notification scheme – full-vertical height panel, which is somewhat reminiscent of Windows 10 and possibly deepin. I am not sure which one works better, but the default Plasma is fairly tight, so it will be interesting to see how this evolves. A neat concept, at least. Nomad does not try to hide from its Plasma roots. The super-awesome clipboard is there, and all the good stuff you expect from this desktop environment are available, perhaps slightly re-arranged. The system settings menu comes with a sidebar rather than a single-view menu. For sustained use, Nomad is not the most ideally suited or designed desktop. It has a bit of Zorin flatness about it, meaning it’s very hard to distinguish between active and inactive elements, and it’s just too flat. 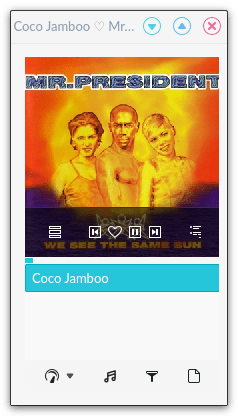 Material Design might work, but it’s a tricky one to nail and a super-easy one to bodge. Applications are semi-transparent, which makes things even more chaotic. Couple that with low contrast and pale colors, and using Nomad becomes a strain. Then, applications cannot be easily resized. You must access the window menu and choose Resize. You cannot drag from corners or edges, and this seriously hampers productivity. It’s very unnatural trying to resize from the top of the application window, especially when you have no visual clue what you’re doing, and it’s also much slower than the direct method. Luckily, you CAN tweak Nomad. 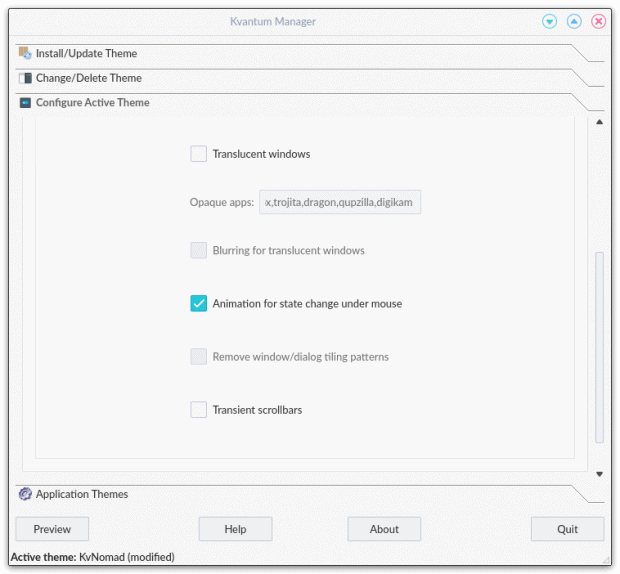 You will need to launch a program called Kvantum Manager, and it lets you add, remove, update, change, or configure themes. There are a lot of settings, and for the active theme, which is called KvNomad, you can change transparency, blurring, focus, toolbars, and many other tweaks. 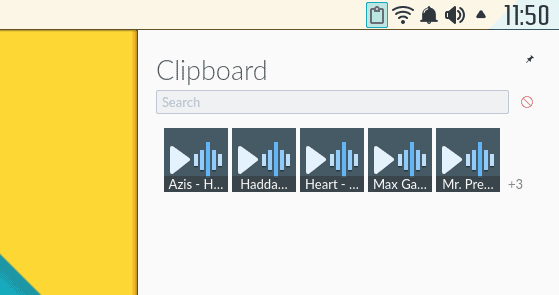 In the end, this helps a lot, making windows clearer, easier to use, read and separate from the background. But the theme always remains ever so slightly pale with insufficient contrast. But some problems still persist. There’s no auto-search in the system menu. The system area comes with a strong accent around selected icons, which is a bit at odds with the overall theme. There is no battery indicator. QupZilla is a weird and ungainly browser, and frankly, it does not make sense to have it there, because Firefox is a perfectly acceptable – and the most sensible – choice in this whole family. QupZilla also auto-focuses on newly open tabs by default. The system settings menu is a bit awkward. The default KDE arrangement is superior, both because it offers easier access to options, and also because it behaves in a more uniform way, meaning the menu layout does not change when you click on sub-options, but it does so in Nomad. 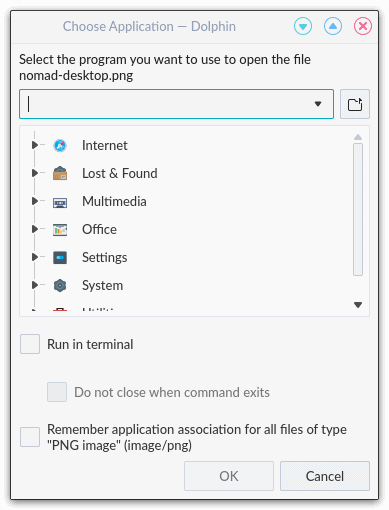 This isn’t a big issue, but it is one, and the whole setup feels unnecessary, there for the sake of it rather than to truly distinguish Nomad from other desktops. There’s no default image viewing program – shame. No association to png files. Ah well. Not everything was peachy, and not just on the aesthetic side. First, Nitrux is currently in the RC phase, and it’s a brand new thing. It is also a relatively small project, and we’ve already talked about the problems of producing a highly polished, professional software with limited resources, despite best intentions. That’s a bigger philosophical question that affects 99% of all open-source projects and jeopardizes their longevity. However, we cannot ignore the impact and the implications of this, and the results are evident in Nomad. Nitrux ships with a sub-category of Android applications. The problem is, the menu comes with low-res icons that do not look posh. They do no align well with the desktop theme, but worst of all, the apps did not launch at all. Now, I very much like the idea. A seamless transition between desktop and mobile, yes! This is very much needed. So whatever the devs have in store makes sense, but it does not work at the moment. I tried the Android apps a couple of times, and eventually KWin restarted. So this whole thing resulted in a system crash. This needs to be debugged and fixed, or for the time being, completely removed, as it does not add to the desktop experience in any meaningful way. Babe Music Player was another hard-to-cooperate fella. On several levels. First, when you launch the program, it greets you with a bunch of oopses that look threatening, but they merely mean you don’t have any music yet. I was able to add files, but they never played. Babe only rotated the titles madly, blasting me with notifications, and even with a single song in the list, it kept constantly babe-ing and unbabe-ing it (seriously), but I never got to play anything and enjoy this program as I should. Not even after a system update. I never got the songs to play, the commands are counter-intuitive, and the whole Babe It/Unbabe It thingie does not really work. This is a Babe-specific problem. VLC worked without a hitch. Another big problem was the NX Software Center. Now, this is a unique beast. It’s not a classic software center, because it does not offer Debian or whatever packages. It offers Snaps, and I like the idea immensely. Finally, we have more and more focus on distro-agnostic package managers, and an almost Windows-like approach to software will allow much easier development and proliferation of applications, as there’s no need to recompile everything a million times. Snap and AppImage are two great examples. NX Software Center offers Snaps. The behavior is a little quirky, it starts with a non-selection error, but then you can browse through categories, and the selection is fairly colorful. There are lots of goodies, and I tried to install and test a few of them. NX Software Center, nice and unique … Notice the off-center application title; by default, Latte overlays applications, so it’s very difficult to access control buttons, and you will need to change the dock behavior to dodge applications. Indeed, the default dock behavior. Alas, this did not work quite as I expected. For instance, Blender complained about Snapd timing out. But when I tried to install it the second time, it said the program was already installed. It did show in the system menu – but without an icon. And it did not run. On the command line, there was a weird error about creating a lock directory permissions. I also tried to delete and chmod snap files, without any luck. I also tried to restart the snapd service, but this didn’t help either. In the end, I was left with a bunch of icon-less snaps that simply did not work. This is not a Nitrux problem. This is a wider issue, and it needs to be fixed. And then, of course, we have the whole gamut of distro-specific features, which do not necessarily reflect on how Nomad behaves. But it might we worth mentioning them briefly. Apart from the Babe fiasco, the system was stable, rock-solid. It comes with a blazing-fast 4.11 kernel, it’s responsive, and the hardware size of things was pretty good. Nitrux seems to be a decent baseline for Nomad to develop and grow. The Nomad desktop is an interesting concept. It’s fairly advanced for a new thing, but then it also suffers from a slew of small problems and bugs. Most notably, the NX Software Center did not work for me, but this seems to be an underlying snapd issue, Android apps did not run, which again might be rooted in the same pond, Babe didn’t deliver, and there are several aesthetic considerations that need to be taken into account and improved. While the theme is lovely, the transparency and over-flatness hurt the eye. On the bright side, Nomad is relatively mature and comes with a distinct bunch of features to call its own. The closest analogy that I can draw is elementary. Nomad looks the part, it offers Android integration, which, when it finally ends up working, should be a cool thing for desktop users, and the Ubuntu/Plasma baseline is a great starting point. Of course, there’s tons of work ahead for this concept to work fully. What worries me, apart from the obvious resistance to boot for some odd reason, is how far can Nomad stretch its resources without losing focus or compromising on quality, the latter already evident in a variety of small issues across the desktop. Developing a complete stack of apps will be difficult and quite redundant given the KDE DNA, but then just having a visual theme distinction isn’t enough to warrant a complete new desktop environment. So it will be interesting to see where Nitrux takes this effort, and how it will advertise itself among the Linux crowds. Or maybe it won’t. Maybe it will try to sell itself to the Windows audience. I don’t know what the plans are, and if the team can sustain and deliver. I sure intend to follow this project and see how it grows. 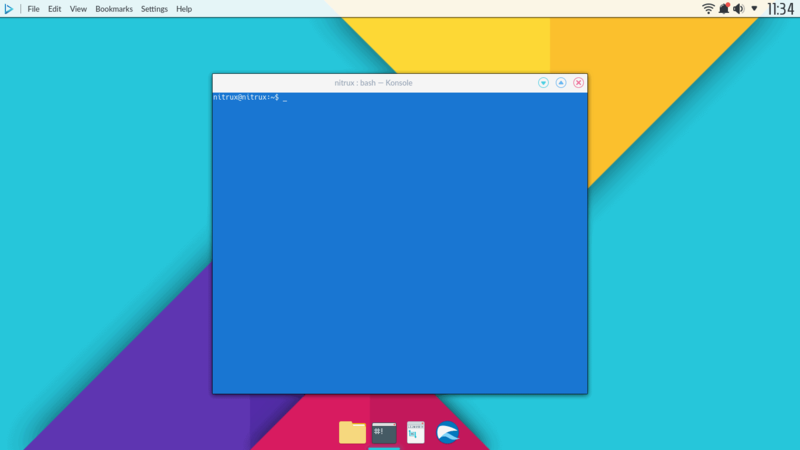 At the moment, as always, I am skeptical, having seen dozens of distros and desktops come and go, and on the Qt front, the only one that seems to have the critical mass of quality and focus is KDE, with the rest of the bunch struggling behind. But for the first effort, Nomad managed to weather through, and if I compare it to similar ideas in the past, there’s quite a bit of promise there. To be continued. I don’t like it. 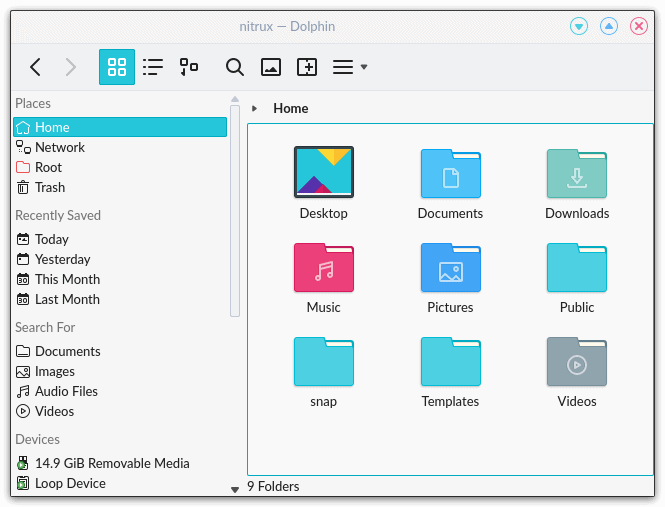 I hope that this “flat design” madness does not get into Linux land. Well, there are tons of themes and icon packs, so it should be fine. 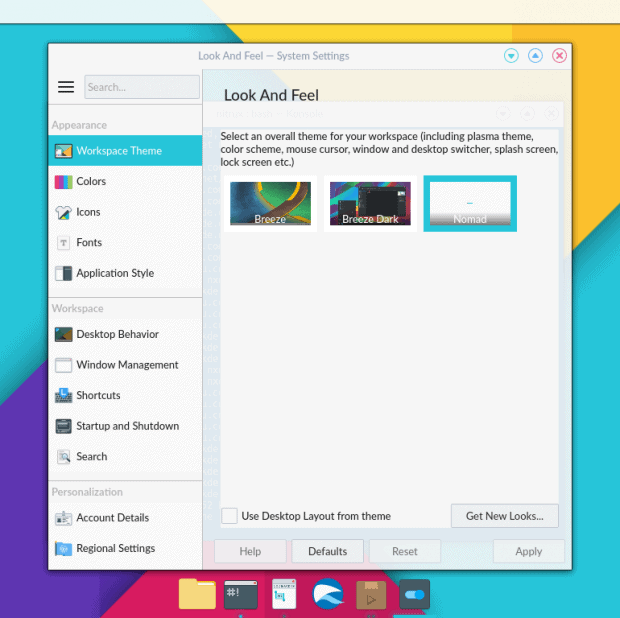 It is already here, have you not seen the changes from a large portion of Linux themes and desktop environments in the past 2 years? I think it would be better to take Budgie approach, just create the desktop and some blings, and use the already provided core apps. Good to see the community trying innovation with Plasma/Qt. Good also to see experimenting with move to Flatpak/Snap. it was awesome on live usb virtualbox, but when i installed on vbox, it can not login to nitrux. so i decided to install on my system, well it was nice on live usb and has no issue on installing in my system, buat after installing dan reboot, it could not boot into nitrux, just same error when in virtualbox. what i have to do? How did you make the machine recognize the UBS iso and boot properly? After several attempts on multiple laptops and with USB flashed in various ways, the system boot still can’t seem to recognize the ISO when booted. Thank you!